From the equipment we use daily to all the amazing destinations we explore, we wouldn’t be where we are today if it wasn’t for the help of our sponsors! This page is dedicated to those that have sponsored us throughout our journey. Whether it was making sure we had the latest camera gear or funding an excursion to enhance our trip. Every bit of support not only helped us, but allowed us to bring new content and totally amazing photos to our readers. For that reason, these sponsors deserve recognition. We stand by every single company listed here. Trust us, if we didn’t, then we wouldn’t be telling you about it! The name Sony speaks for itself. This strong partnership between Sony and Surviving Europe is what got us hooked on their camera gear. 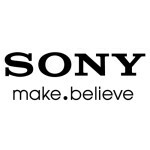 Literally everything we use for our camera and video comes from Sony. And it’s not just because of our relationship, it’s because Sony makes the best camera equipment out there. So why settle for anything less? 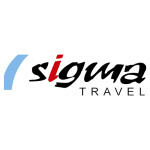 Sigma Travel sponsored us for excursions throughout Rhodes, Greece. Because of them, we experienced an island in Greece that we’re still dreaming about – Symi – and spent the entire day learning about the Acropolis of Lindos. Both excursions created memories that we’ll never forget and revealed a part of Greece that we never knew existed. If you’re visiting Rhodes, be sure to contact them! They will seriously make your trip. EatingPrague sponsored us for a food tour of Prague, and it was the most delicious day of ALL time! Food plays such an important role in culture, so what better way to explore a city than through its tasty treats?! We spent 4 hours eating Czech specialties and exploring Prague like locals. We walked into restaurants we would’ve never discovered on our own and learned all about the history and food culture of the city. 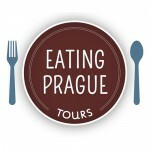 EatingPrague is just of one of EatingEurope’s available food tours. We’re looking forward to EatingItaly, EatingAmsterdam AND EatingLondon. 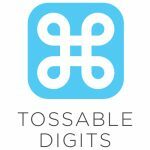 Tossable Digits sponsored us and ported our phone numbers, so we could cancel our mobile plans completely. Lucky for you, it only costs $3.50/month which is WAY less than the $20/month it costs to keep your number on hold with your provider (without a phone plan.) For more info, check out his site. You’ll find there are lots of other awesome things that Virtual Numbers can do – especially if you travel frequently and run a business. We’d love to connect and discuss a partnership!